If you thought RED ASH's continuing soap opera with the crowd-funding world was over, then consider this a renewal for a second season. Studio 4℃, the company behind the Magicicada anime spin-off, is back again after barely scraping by the $150,000 it secured on Kickstarter, already asking for more money. What about the $150,000 it already raised? 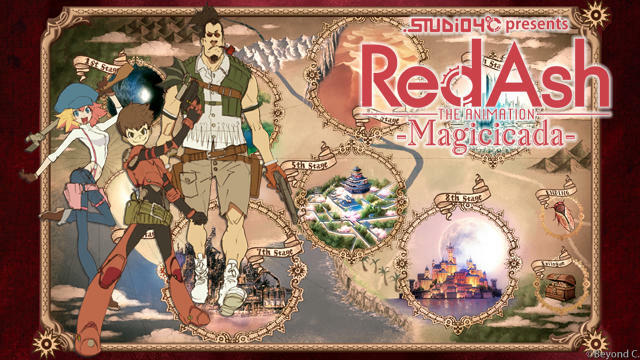 Well, according to the original Kickstarter page, the base goal was only set in place to turn RED ASH Magicicada into a short film. That's not enough to satisfy the studio, who was hoping for $2 million plus for a feature length film through stretch goals, and it at least wants to save face by producing something a bit more substantial. The new goal over at its own official crowdfunding website is asking for the entirely random sum of $127,118 to turn the animated short into a film at least 30 minutes long. 2 days into its campaign, the studio has 7 supporters an a grand total of $209 in the bag. Needless to say, it does not look good. I praised the anime Kickstarter campaign for mostly avoiding the drama that the game's went through in spite of its questionable pricing plan. However, I can no longer do that. Now we have to hope against hope that an unknown, first-time Chinese publisher and a Japanese indie developer proud of his public criticisms can get along and at least make a solid game from this mess. I'm not going to hold my breath. For me, RED ASH's book closes today, and it will recede into the back of my brain until it proves me wrong. So are the days of our lives.